In The Unknown Known, Errol Morris offers a mesmerizing portrait of Donald Rumsfeld, an extraordinary American politician and one of the architects of the Iraq War. 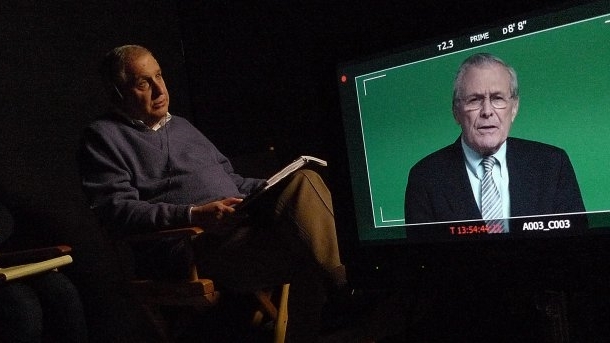 In The Unknown Known, Academy Award-winning director Errol Morris offers a mesmerizing portrait of Donald Rumsfeld, the larger-than-life figure who served as George W. Bush’s secretary of defense and as the principal architect of the Iraq War. 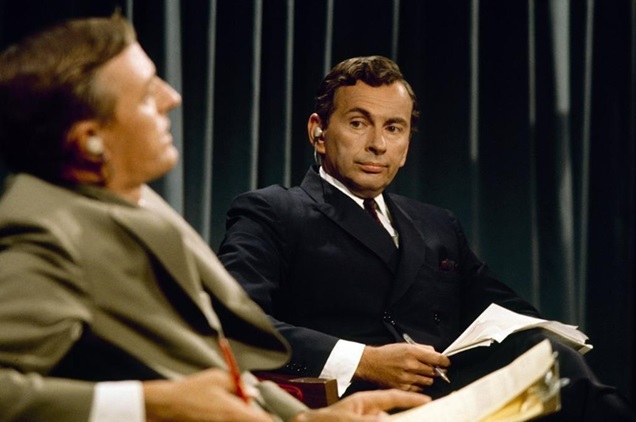 Rather than conducting a conventional interview, Morris has Rumsfeld perform and explain his “snowflakes” — the enormous archive of memos he wrote across almost fifty years in Congress, the White House, in business, and twice at the Pentagon. The memos provide a window into history — not as it actually happened, but as Rumsfeld wants us to see it. By focusing on the “snowflakes,” with their conundrums and their contradictions, Morris takes us where few have ever been — beyond the web of words into the unfamiliar terrain of Rumsfeld’s mind. 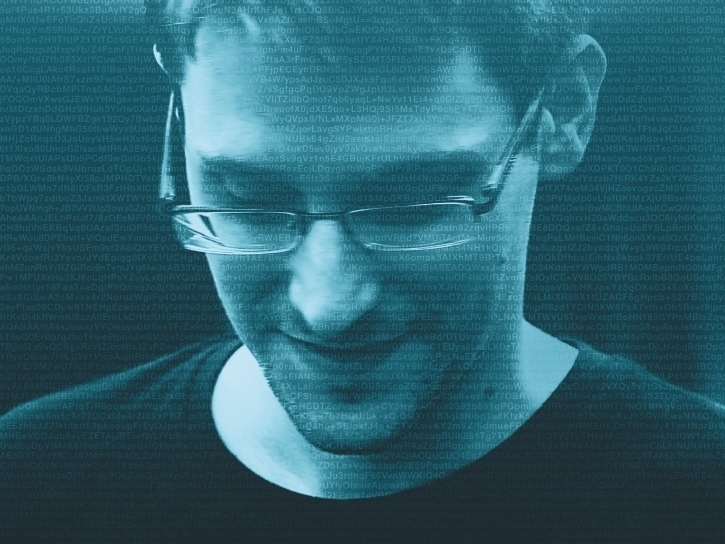 The Unknown Known presents history from the inside out. It shows how the ideas, the fears, and the certainties of one man, written out on paper, transformed America, changed the course of history — and led to war. 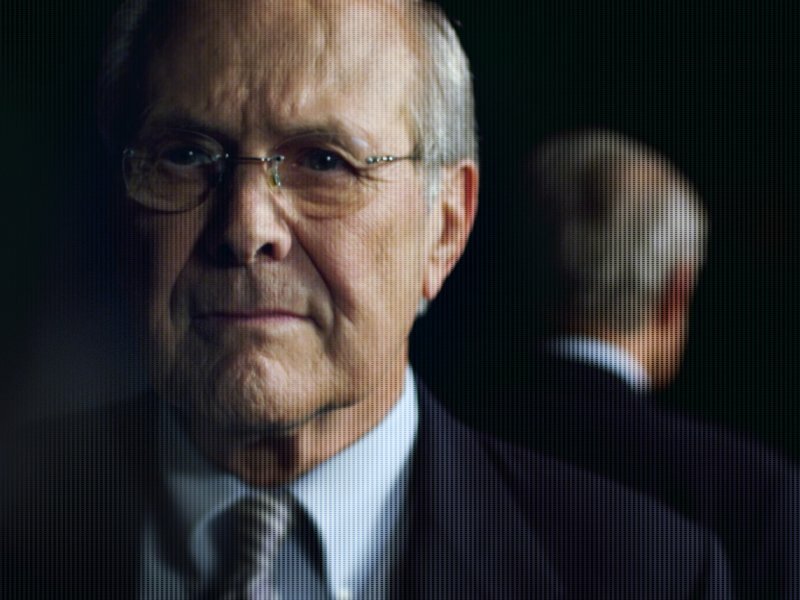 Errol Morris’s tenth documentary feature is The Unknown Known, a portrait of former Secretary of Defense Donald Rumsfeld. Morris’s films have won many awards including the Oscar for Best Documentary Feature for The Fog of War, the Grand Jury Prize at the Sundance Film Festival for A Brief History of Time, the Grand Jury Prize, Silver Bear at the Berlin International Film Festival for Standard Operating Procedure, and the Edgar from the Mystery Writers of America for The Thin Blue Line. His documentaries have repeatedly appeared on many “ten best” lists and have been honored by the National Society of Film Critics as well as the National Board of Review. Morris’s work is in the permanent collection of the Museum of Modern Art. Roger Ebert, a champion of Morris’s work, called his first film, Gates of Heaven (1978), one of the ten best films of all time. Morris has directed over 1,000 television commercials including campaigns for Apple, Levi’s, ESPN, Nike, Target, Citibank, and Miller High Life. Morris has also directed short films for the 2002 and 2007 Academy Awards, the IBM Centennial and many charitable and political organizations including Stand Up to Cancer and Moveon.org. In 2001, Morris won an Emmy for “Photobooth,” a spot directed for PBS. Morris is the author of two New York Times best sellers, and is a regular contributor to The New York Times opinion pages. Morris has received fellowships from the National Endowment for the Arts, a Guggenheim Fellowship and a MacArthur Fellowship. In 2007, he was inducted into the American Academy of Arts and Sciences. He is a graduate of the University of Wisconsin-Madison and was a graduate student at Princeton University and the University of California-Berkeley. He has received honorary degrees from the Columbia School of Journalism, the University of Wisconsin-Madison, Brandeis University, and Middlebury College.